1977 was the dawn of home computing, with the Apple II, Commodore PET and TRS-80 Model I all being launched within months of each other. But another early computing pioneer also found success in the same year, and that was Atari. 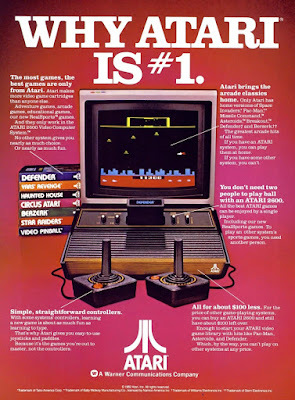 Launched in September 1977, the Atari Video Computer System (“VCS”) was an early second generation console that came after the 1970s wave of single purpose games machines that could typically play Pong and nothing else. Based around a cut-down version of the 6502 CPU called the 6507, the Atari VCS was designed from the start to be a highly flexible system that could play a wide variety of games. One key thing that made the VCS easy to use was the cartridge system. Instead of struggling to load a game from tape or splashing out on a very expensive floppy disk drive, the VCS loaded in games from cartridges instead. Although it wasn’t the first cartridge console on the market, the VCS was the first one to be a real success. Games included the ubiquitous Pong, Space Invaders, Breakout, Pitfall, Centipede, Defender and later on a poorly received version of Pac-Man and the infamous E.T. Despite the VCS’s fairly crude colour graphics and sound and the relatively high price of the cartridges themselves, the VCS and many of its games went on to sell in huge numbers. Priced at just $199 at launch, including a game and two joysticks, the VCS represented impressive value for money. Cartridges were relatively expensive, typically coming in at $20 or more. However the cartridges were easy to use… and crucially for Atari, almost impossible to pirate. The original VCS models were made in Sunnyvale, California and are known as “heavy sixers” because they have six switches on the top and a more solid construction than the later “light sixers” built in Hong Kong. Further revisions followed, with the fake wood panel surviving until 1982, but the VCS name was changed to 2600 in 1980. In one form or another, the VCS / 2600 remained in production until 1992, giving the console a staggering 15 year run with almost unchanged hardware, selling 30 million units in the US alone. Despite ending production, the VCS / 2600 remained popular, and in 2004 a modern interpretation was made called the Atari Flashback which is currently in its eighth generation. A top-of-the-range Flashback with an HDMI connector and a huge number of games costs around €170, an original 2600 console can cost from next to nothing up to several hundred euro depending on exact model, condition and bundled games with consoles quite commonly available. In 1983 a crash in the video games market led to Atari being sold by its then parent company, Warner Communications, and it split into two. On part of it was bought by Jack Tramiel (who founded rivals Commodore) and which later went on to make home computers including the Atari ST. 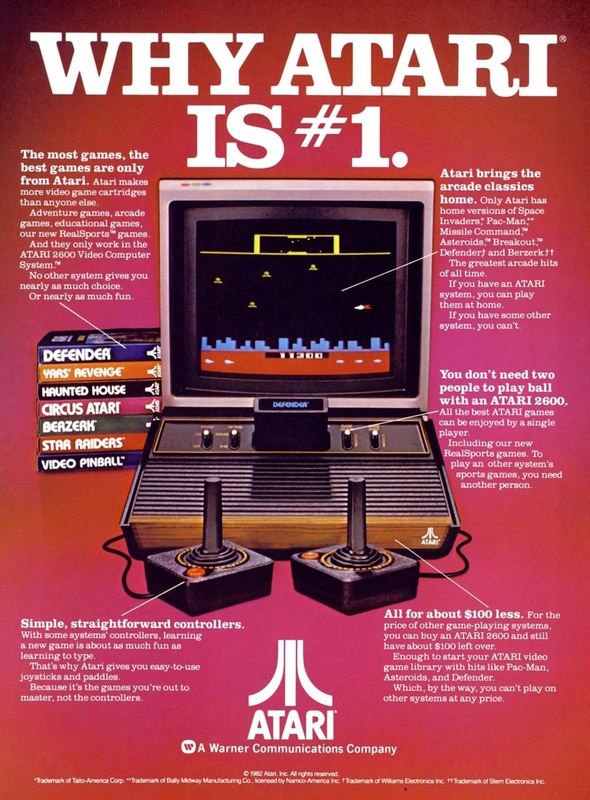 The company’s name and assets have changed hands many times over the years, but “Atari” still exists as a gaming brand today.